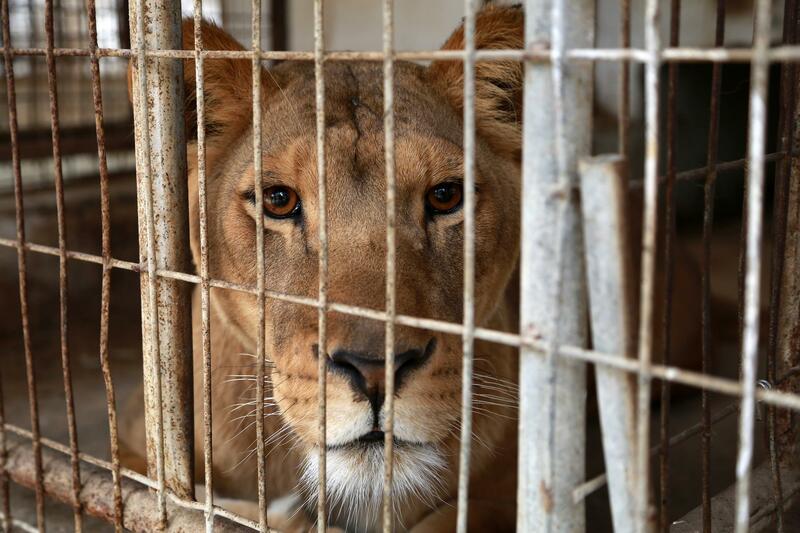 47 animals from Rafah Zoo in Gaza are freed from their cages. we have achieved the impossible! We managed to save more than 40 animals from Rafah Zoo. A huge thank you goes out to everyone who supported this mission. We'll keep you updated what happens next so you can be part of the freed animal's journey into their new lives - stay tuned! Over 40 animals were suffering in Rafah Zoo, Gaza. At the beginning of 2019, Gaza's oldest zoo attracted worldwide attention. Four lion cubs froze to death there due to the harsh weather and poor keeping conditions. Only a few weeks later, a 14-month-old lioness was permanently mutilated by the brutal and unprofessional removal of her claws. Almost 150,000 people demanded immediate action - and fortunately we were able to follow that call. The owner of the oldest zoo in Gaza allows visitors to play with a lioness and therefore cruelly removed her claws with garden shears. He announced that the claws of the other lions would also be removed – if necessary without the help of a veterinarian! Currently, dozens of animals – including five lions, a hyena, several monkeys, wolves, emus, cats, dogs and exotic birds are suffering. The small zoo in Rafah was opened in 1999, located in the southernmost part of the Gaza Strip, close to the border with Egypt. What do we know about rafah zoo? In 2004, the zoo in the southernmost part of the Gaza Strip was almost completely demolished. Some of the animals were killed, stuffed and are on display at the zoo. Since the opening in 1999 many of the animals have died due to being caught in the centre of rocket attacks and war battles. ... are suffering as well as a hyena, several wolves, monkeys, cats, dogs, ostriches, emus and other birds. The zoo is very small and covers an area of only about 10 000 sqare metre. The cages are tiny, dirty and old. The owner has run out of funds and can no longer provide food for the animals. Neither can they improve their living conditions or expand their enclosures. We need to help them! We want to finally put an end to the suffering of the animals of Rafah Zoo and the first negotiations with the responsible authorities have already begun. 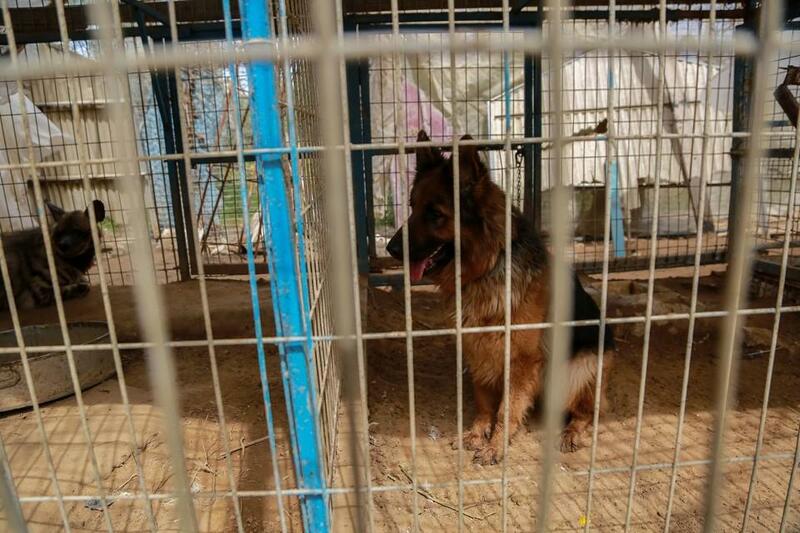 FOUR PAWS has been active in Gaza since 2014 and has already evacuated and closed down two zoos – Al-Bisan zoo and Khan Younis zoo – in the region. The former zoo inhabitants were transferred to FOUR PAWS' own sanctuaries. The zoo in Rafah is well known to us. In 2015, the owner of the zoo sold the two lion cubs Max and Mona to a local who gave them to his grandchildren. We confiscated the cubs and brought them to Al Ma'wa for Nature & Wildlife sanctuary in Jordan. Khan Younis Zoo is history! FOUR PAWS conducted an intense rescue mission to save the remaining 15 animals at Khan Younis Zoo. Read more here. Cubs from Rafah Zoo are safe! In 2015, a father of six bought the cubs from Rafah Zoo as a treat for his grandchildren. The new ‘pets’ quickly pushed the family to their financial and physical limits. FOUR PAWS rescued the two cubs from this irresponsible private keeping. 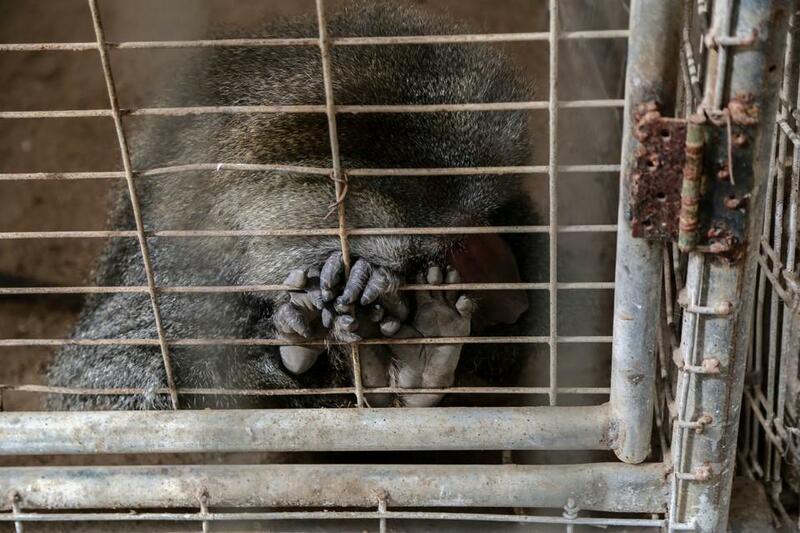 FOUR PAWS closed Al-Bisan Zoo and rescued the animals! More than 80 animals died when a zoo in northern Gaza was severely damaged by air strikes. An emergency team by FOUR PAWS managed to get there and help the 20 surviving animals. Dr. Amir Khalil and his team delivered urgently needed medicine and food. Luckily, FOUR PAWS was able to close down the zoo. 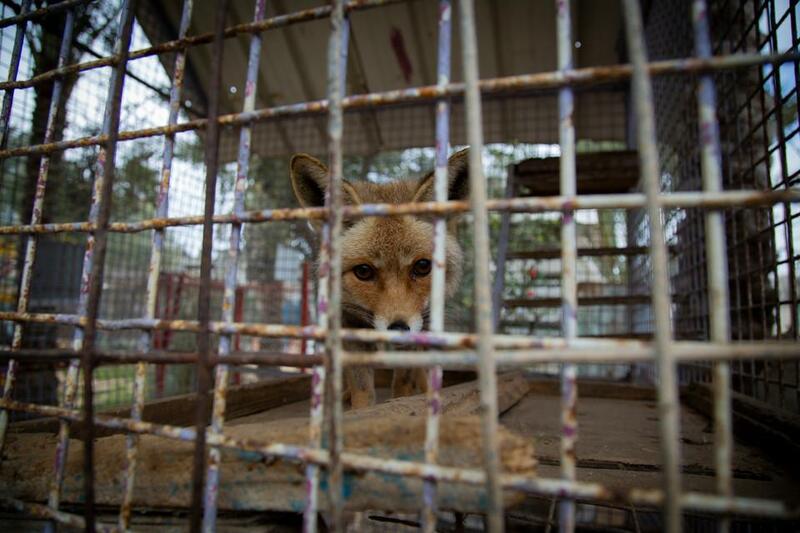 Join us in rescuing the remaining animals and to close Rafah Zoo now! Subscribe to our newsletter to receive the latest news and stories about our work.